Legendary creator MATT WAGNER continues the hotly anticipated third and final volume of his epic fantasy trilogy with MAGE: THE HERO DENIED. Following a dangerous encounter with creatures from the faerie realms, Kevin Matchstick must confront his all-but abandoned legacy as the reborn Pendragon. How can he protect his family from the forces of dark magic if drawing on the power of Excalibur only further exposes him to their enemies? Meanwhile, the sinister Umbra Sprite and its deadly offspring also continue their brutal and pitiless hunt for the mystical Fisher King. MAGE: THE HERO DENIED is a 15-issue limited series climaxing in a double-sized finale. 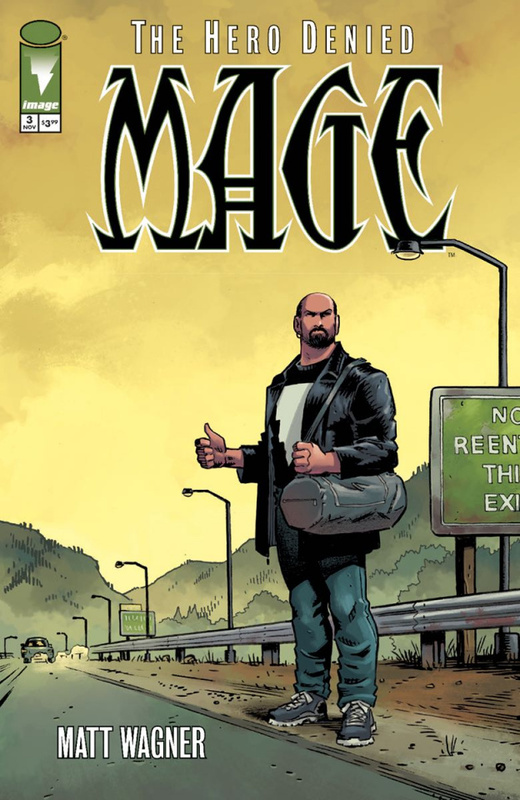 Considered by many to be creator Matt Wagner's masterpiece, MAGE has been a perennial favorite with old and new readers alike for nearly three decades.